When I told my husband that I was making some biscuits, he didn't say anything. "I really don't like biscuits." "They are dry and crumbly." I assured him that THIS time, the biscuits are NOT coming from a box, can or whatever. You can use cold buttermilk, whey from homemade yogurt or sour milk. How do you make sour milk? Kitchen Tip: You make sour milk by putting in 1 T. of lemon juice or vinegar in a measuring cup. Fill the cup with enough milk to reach 3/4 cup. Let the milk sit for 5 minutes and ta-da! You have sour milk! 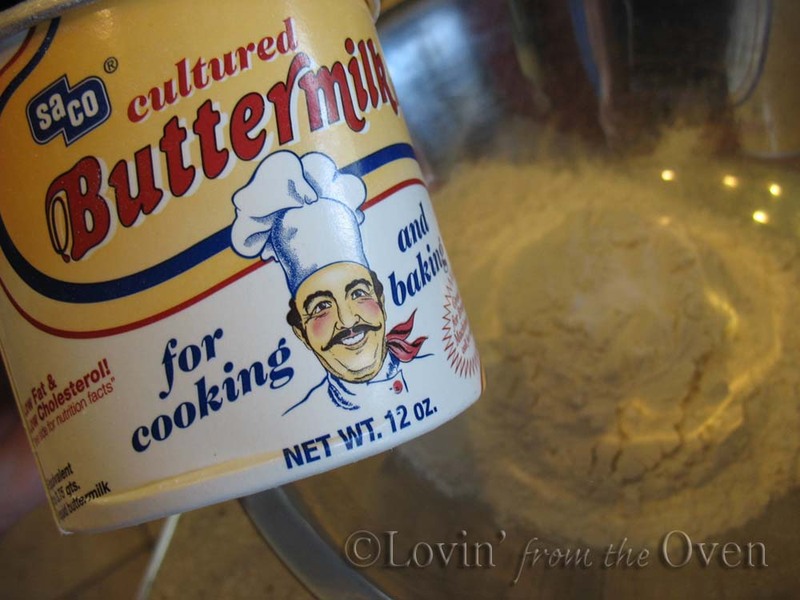 For this recipe, I opted to use SaCo powdered buttermilk. It keeps well in the fridge and I always have it on hand. 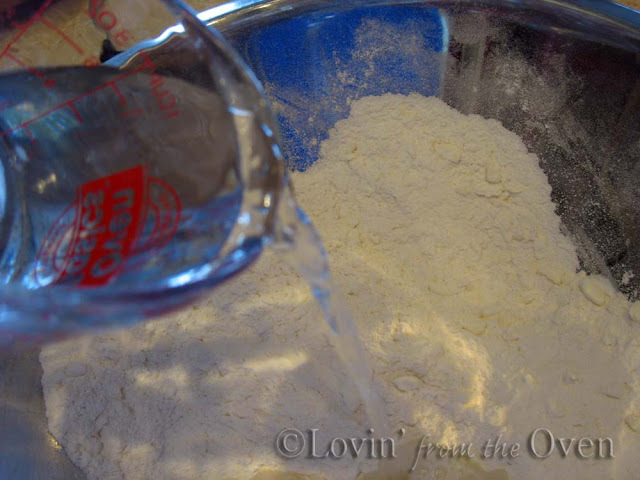 All purpose flour, baking soda, baking powder, salt and powdered buttermilk are mixed in a large bowl. The recipe calls for UNsalted butter, thinly sliced and then frozen. If you only have salted butter, reduce the salt in the recipe to 1/4 teaspoon. I had a cube of frozen salted butter, which sliced up nicely. TIP: Use a cold, refrigerated stick of butter and coarsely grate it. Stick it in the freezer while you are preparing the rest of the ingredients. A pastry blender works great. If you don't have one, use a fork or two knives to cut the butter into pea sized pieces. Mix it with a spatula until all the pieces come together. Crumbly is o.k. ~ do not overmix the dough. Handle the dough as lightly as you can. Roll into a 12"x6" rectangle. Fold it into thirds, like a letter. Does anyone send letters anymore? Roll and fold it into thirds again. Turn the dough 90°. Fold into thirds again, for the last and 3rd time. Flour your hands if you need to. Roll to 3/4" layer (or pat with hands). This is more like 1/2". 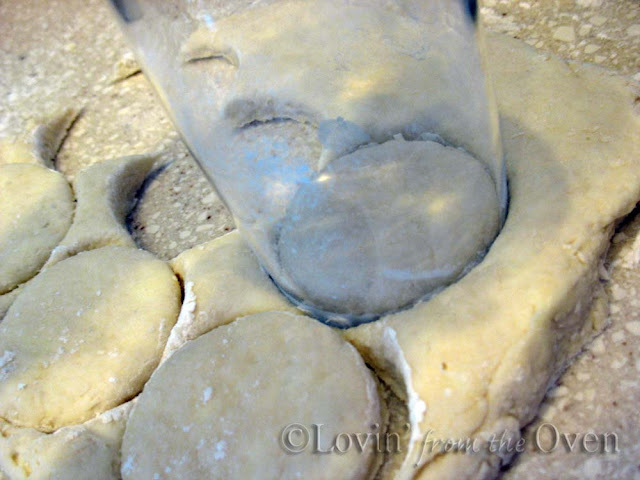 Use a 2 1/2" biscuit cutter or drinking glass. Put biscuits on an ungreased baking sheet or Silpat baking mat. Push straight down....do not twist. Why? You get a biscuit with straight sides. 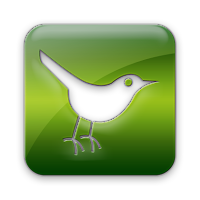 Put a thumbprint in the middle. Why? Helps 'em rise straight. Brush with buttermilk, or milk. This will create a crispy, brown top. So you want the secrets? 1. COLD Buttermilk. Tenderizes the dough. 2. Fresh baking soda and baking powder. 3. COLD UNsalted butter. Reduce the salt if using salted butter. 4. 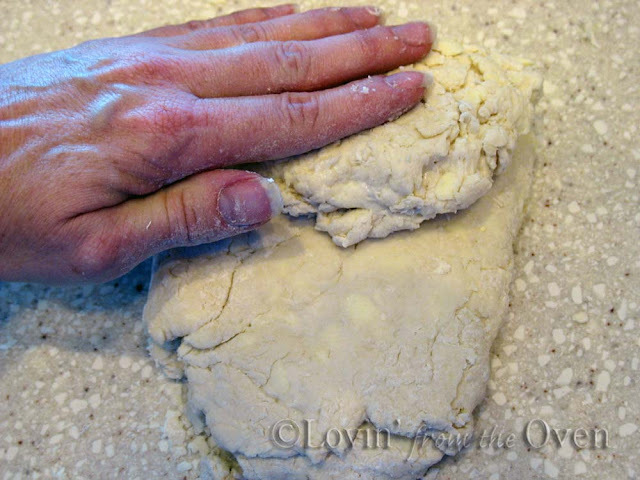 Gently handle dough. Overworking = hockey pucks. 5. 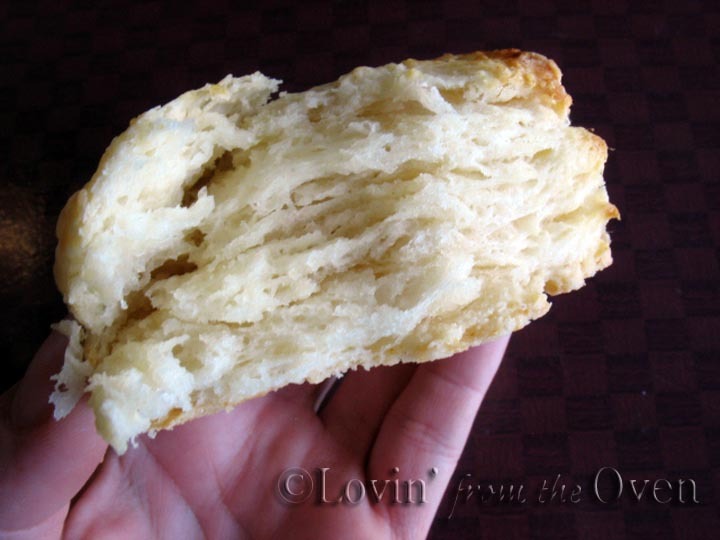 Folding the dough = flaky layers. 6. Push straight down with cutter; do not twist! 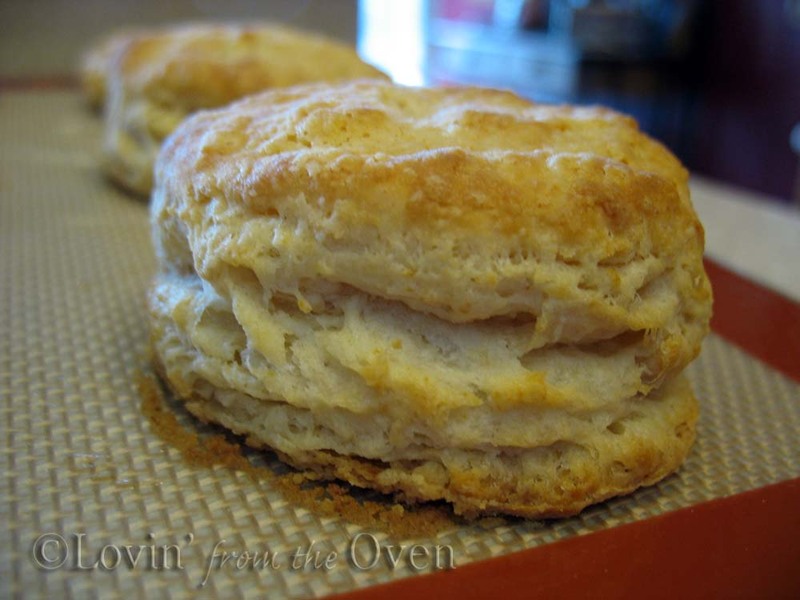 Chef John from Food Wishes suggests making these biscuits about a dozen times. I have made these biscuits several times, getting better each time. It is a recipe worth perfecting and enjoying. Thanks, Chef John! 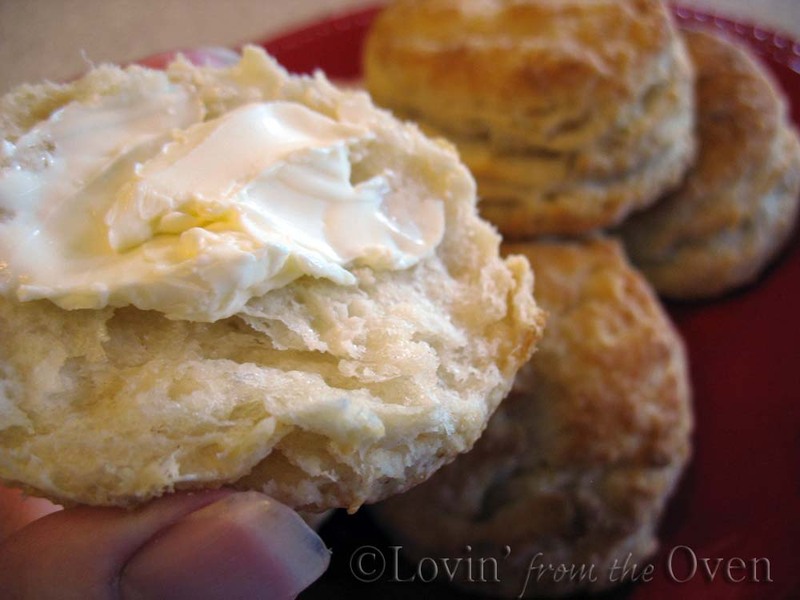 Discover the secrets to tall, flaky, buttery biscuits that will melt in your mouth! 1. Whisk flour, baking powder, baking soda and salt.2. 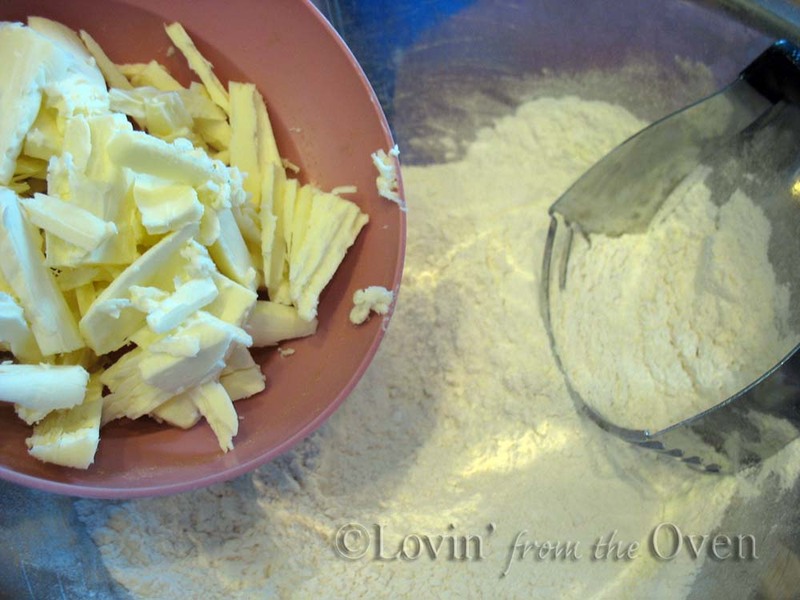 Using a fork or pastry blender, cut the cold butter in the flour mixture until fine and crumbly.3. Make a well in the middle of the flour/butter mixture. Pour the buttermilk and stir with a spatula until moistened. Do not over mix!4. Dough will look shaggy. Shape into a rough rectangle.5. Fold into thirds, like a letter.6. Rotate dough 90°, fold into thirds again.7. Rotate dough 90°again, and fold into thirds for the last time.8. Roll out onto a lightly floured surface, 3/4" thick.9. Using a 2.5" round cutter, push straight down; don't twist.10. Push together dough scraps, re-roll, and cut.11. 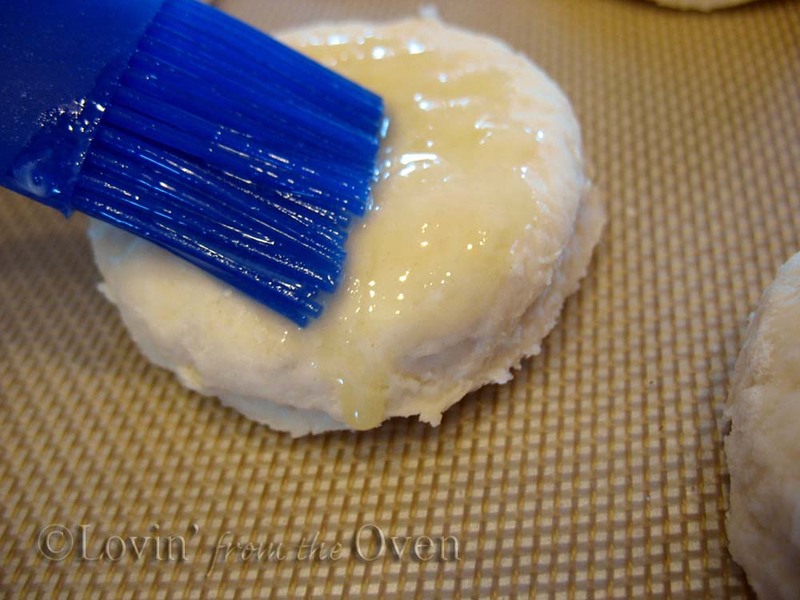 Put cut biscuits on a silicone baking mat, parchment paper, or ungreased baking sheet.12. 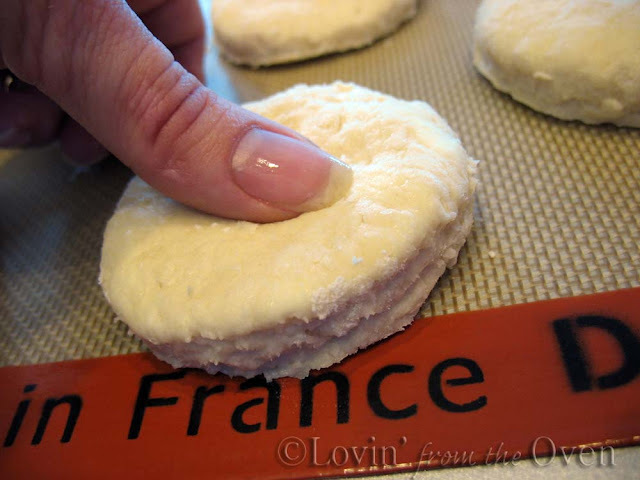 Press the middle of each biscuit with thumb to help rise straight. 13. Brush tops with buttermilk.14. Bake in a 425° preheated oven for 12-15 minutes.NOTE: to make soured milk, put a tablespoon of lemon juice into a measuring cup. Add enough milk to equal 3/4 cup. Let sit for 5 minutes. I stink at making biscuits. But you know what? I used to stink at making bread too, until I made it a gazillion times. 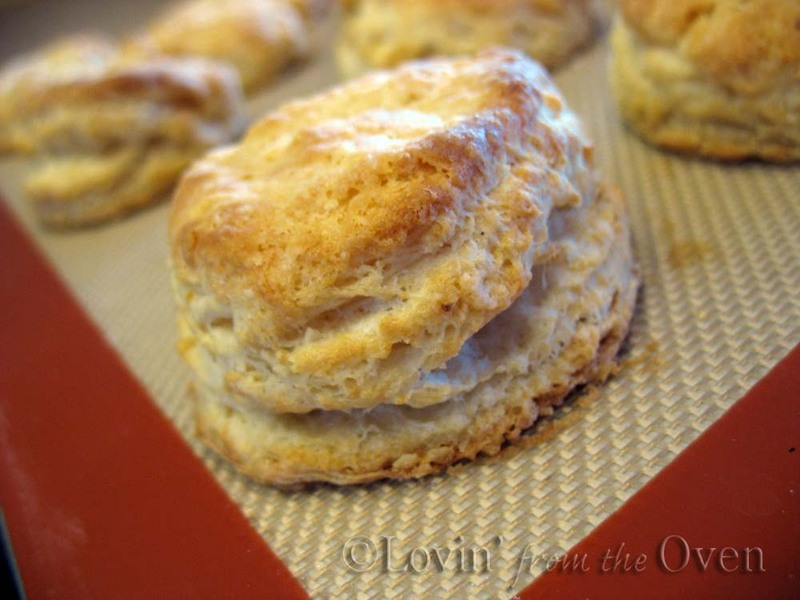 I think making tender, fluffy biscuits is something that takes experience to get just right. Guess I need to start getting some experience, yes? I love making biskets and my recipe is very close to yours. I had to laugh out loud when I read your husbands comments because my husband feels the same way! Too bad, I make them anyway as well :) And they are wonderful biskets. I love biscuits. This is very similar to the Peter Reinholt (did I spell his name correctly) recipe. I love how flaky his is. 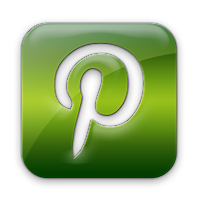 I forgot that I had saved your biscuit post from P.Reinhart. ~ I'll have to try his recipe and compare. Thanks for reminding me! OK sis, this had better work, did it just like you said to!!!! These look great. I've got to try the folding & indenting the tops, I've made a ton of biscuits (usually without a recipe) but I've never tried anything like these. Just came out of the oven...tasted fine but they didn't have the loft that yours did. If I am going to have to make these 11 more times tp perfect these, I should probably start halving the recipe. The kids really like these. They loved the crispy tops. Frieda, those biscuits look sooo good! Should have known I would find your blog behind the picture of these biscuits I found on pinterest! My biscuits usually turn out pretty good, but I'm going to try a few of the suggestions like the thumbprint in the middle and sour milk. Use cake flour instead of regular flour, and they will be extra tender. I also brush the tops with cream before baking. I've never used thumbprints, but I just cut square biscuits so I don't have to remix scraps, so maybe that's why they rise so straight. The biscuits were wonderful!!! Crispy on the outside and tender on the inside. Made them just as the recipe was written but my man decided he wanted sesame seeds on top. To die for, delicious!! Thank you for the recipe!